There is nothing I love more than sharing inspiring stories of transformation with you. Though the particular circumstances of each story is different, the core message is the same. Each and every one of us has the potential to change our lives, radically transform our well-being, take charge of our health, and wake up every day looking and feeling incredible. It’s never too late. No step is too small. It’s just about deciding to own your well-being and continuing to show up, day in and day out. Whew, I could go for hours, but before I really launch into a sermon let’s segue shall we? Today, it is my privilege to introduce you to Bethany and Zane. As she describes it, Bethany had been on one diet or another for pretty much her whole life. She counted calories, watched portions, skipped meals, but nothing ever stuck. She would eventually cave and go back to her old ways. She talks about the struggles of being overweight — how little things like tying shoes, getting in and out of the car, climbing a flight of stairs, or crossing legs at a table used to be a challenge. Finally, in the summer of 2013, she watched a Dr. Fuhrman documentary on PBS about the power of a plant-based lifestyle and everything clicked. She switched to a plant-based diet and quickly lost 65 lbs. Her then fiance, now husband, Zane was supportive of the changes that she was making, but he wasn’t yet willing to jump on board. Finally, on a drive back from Seattle, Bethany asked Zane join her for a 100-day challenge that she was about to embark on, and he agreed. 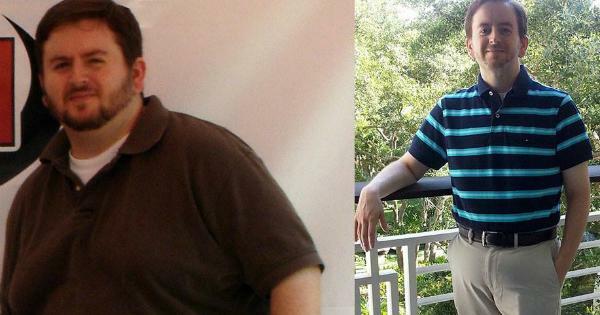 He never looked back and went on to lose over 70 lbs in just six months. They have since lost a combined total of over 150 lbs! Bethany dropped from a size 18-20 to a 6-8. Zane dropped from a size 38 waist to a size 31. In addition to the weight loss, they report feeling stronger, more motivated, and positive. They go on mud runs and hikes, and their relationship is better than ever. I asked Bethany and Zane to share their story, and we dive into some of the challenges they faced and how they overcame them. There are many valuable nuggets in this interview, but I think one of the biggest lessons we can learn from Bethany and Zane is how to change your lifestyle without giving up your social life. They share how they manage to be social AND stay on track, and Zane has an especially important insight to share on how he got his friends to support him. 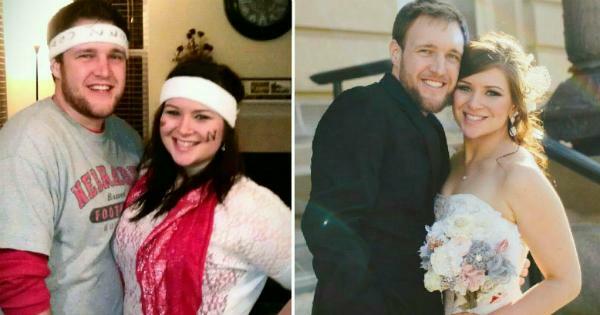 (1:18) How Bethany and Zane lost a combined total of 150+ lbs, and what convinced them to change their lifestyle. (9:40) The detox symptoms that Zane experienced and how he moved through them. (20:10) The brilliant technique that Zane used to get all of his friends on board with his new lifestyle. (21:21) The subtly undermining comments that Bethany received, and her tips for getting friends and family on board. (23:00) Why Bethany and Zane decided to start the Love Chard community and where you can learn more. Bethany and Zane’s transformation inspired them to help others by starting the Love Chard Community. They offer support for the transition into a healthier and happier lifestyle through coaching, pantry and fridge overhauls, offering shopping list and guides, helping you work through obstacles, setting and achieving your goals, exploring new whole foods, and learning how to prepare dishes and create recipes. Visit www.LoveChard.com for more information. What did you learn from this success story that you can apply in your own life? Let us know in the comments below. We read every single one. Help inspire others with your success. Have a success story to share whether big or small? We’d love to hear about it. I had been morbidly obese all my life. As you can imagine, my life has been one failed diet after another. For me, a diet never lasted more than three or four weeks and I ended up gaining the weight back and then some! I was so miserably fed up with diets and failing that I swore I’d never diet again. I said I would be happy just as I was and to hell with anyone that didn’t like it. That mentality worked for awhile. I felt as if the weight of the world had been lifted from me. However, my weight continued to climb and before I knew it I had hit the 410 lb. mark. I accepted it because I had no hope of ever losing weight and I wasn’t going to go on another diet. My health began to decline and I was miserably depressed. There wasn’t a day that went by that I didn’t think about suicide. I had no hope. I didn’t want to live one more miserable day in the state I was in. I felt my only option was to end my miserable life. I was sitting in front of my computer one night crying and planning my suicide. I started browsing Netflix and happened upon, “Fat, Sick & Nearly Dead”. After watching, I suddenly had TWO options! I could die or I could LIVE. I chose to live! It was a few months after that that I read Eat To Live by Dr. Joel Furhman. I was ecstatic that I never had to worry about dieting again. I literally screamed it at the top of my lungs, “I NEVER HAVE To DIET AGAIN!! !” I jumped into [the Eat To Live program (ETL)] gung-ho and did well for three or four weeks and then I came crashing down and went on a three or four week binge. I started over and did well for three or four weeks and crashed again, going on another few week binge. I became very discouraged and continued starting over, binging and starting over again. Within in the same week I had come across two quotes that were basically a slap in the face to me. The first one was, “To have something you’ve never had; you must do something you’ve never done.” Hhhmmm… So, in order to succeed I must stop doing the same failed method over and over again expecting to succeed… The next one was from ETL where Dr. Fuhrman says, “Focus on getting healthy, not losing weight.” I suddenly realized that even though I had screamed I never had to diet again; I was treating ETL exactly like a diet. I knew then what I had been doing wrong. In order to have something I never had, (health and weight-loss) I had to let go of my diet mentality and “live” ETL. When I learned to do that, great things began to happen. I was getting healthier AND losing weight – 170 lbs. so far. Never in my wildest dreams did I think this could ever happen. It doesn’t matter from what state of mind you’re coming from. It doesn’t matter how many times you fall down. Tell yourself resolutely that you’re going to change your life no matter how long or how hard you have to work on it. Accept that you’re going to fall down and when you do, GET UP!! Don’t start over, don’t tell yourself what a failure you think you are. Look forward! Take a tiny step forward! Onward and upward! I KNOW that if I can come this far from a place of misery and hopelessness, you CAN! !